Except for that I have been hiccupping continuously since Boxing Day, this year has been a good Christmas for me, with two marvellous additions to my library from a couple of very generous friends of mine. 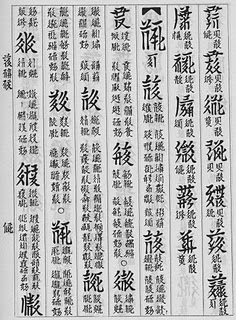 From Michael Everson I received a copy of Wenhai Yanjiu 文海研究 (Zhongguo Shehui Kexue Chubanshe, 1983), which is a study of the mid 12th century monoglot Tangut Rhyming dictionary, "The Sea of Characters" 文海, by Shi Jinbo 史金波, Bai Bin 白濱 and Huang Zhenhua 黃振華. 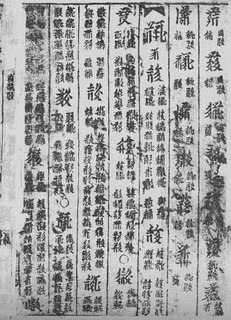 The book includes a facsimile of the original woodblock edition (found in 1908 at the site of the Tangut city of Kharakhoto 黑水城), together with a beautifully rewritten facsimile transcription, as well as a translation into Chinese, and a character index. This is a very timely present as Tangut is soon going to be high on the script encoding agenda, and is something that I want to focus my attention on in the new year. And in the post this morning I received from Vladimir Belyaev, the proprietor of the excellent Zeno Oriental Coins Database, a copy of Yuandai Yinfeng 元代印風 (Chongqing Chubanshe, 1999), which is a collection of seal impressions from the Yuan dynasty (1271-1368). My main interest is in the many Phags-pa seals in the book, including no less than thirty-eight official seals, which I am planning to study carefully in order to improve my Phags-pa Seal font. The following example is the seal of the Imperial Preceptor and Commissioner of Buddhist Affairs 通領釋教大元國師 ꡉꡟꡃ ꡙꡞꡃ ꡚꡞ ꡂꡨꡓ ꡈꡗ ꡝꡧꡦꡋ ꡂꡟꡠ ꡚꡜꡞ, a title that was first bestowed on the great Phags-pa Lama (the creator of the Phags-pa script), although this seal may belong to one of his successors. 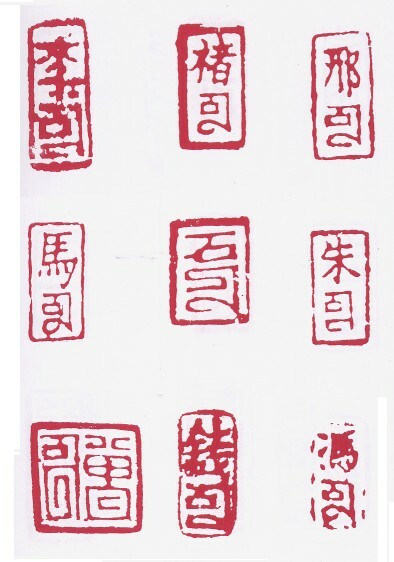 In addition to the official seals, the book also includes dozens of "signature seals" 押印 with either a Phags-pa inscription or a combined Chinese and Phags-pa inscription. 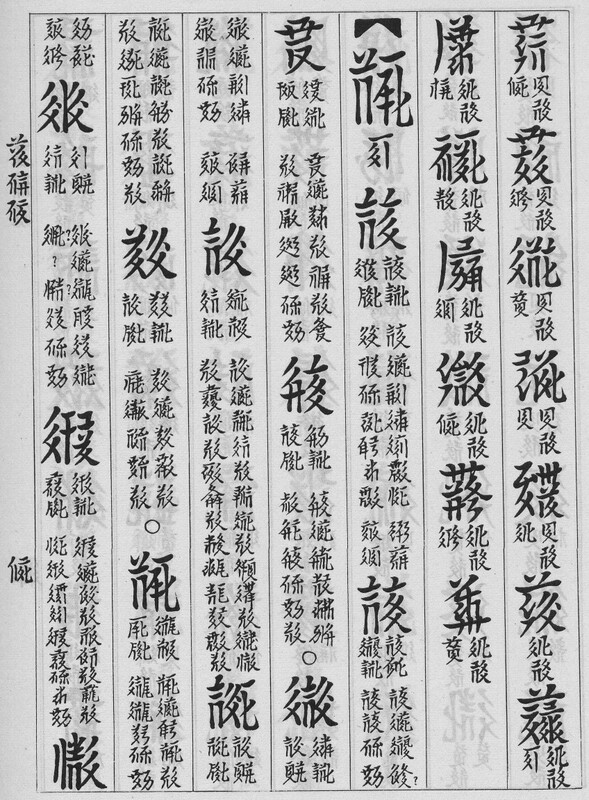 The following examples from one page of the book show signature seals with a Chinese family name in Chinese script (Li 李, Chu 褚, Xing 邢, Ma 馬, Zhu 朱, Zeng 曾, Qian 錢 and Feng 馮) followed by the word gi ꡂꡞ in Phags-pa script, representing Chinese ji 記 "mark". 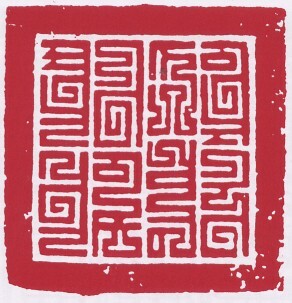 The seal in the centre is different from the others, as it has a Chinese family name, Shi 石 followed by the Phags-pa spelling of the name, shi ꡚꡞ. 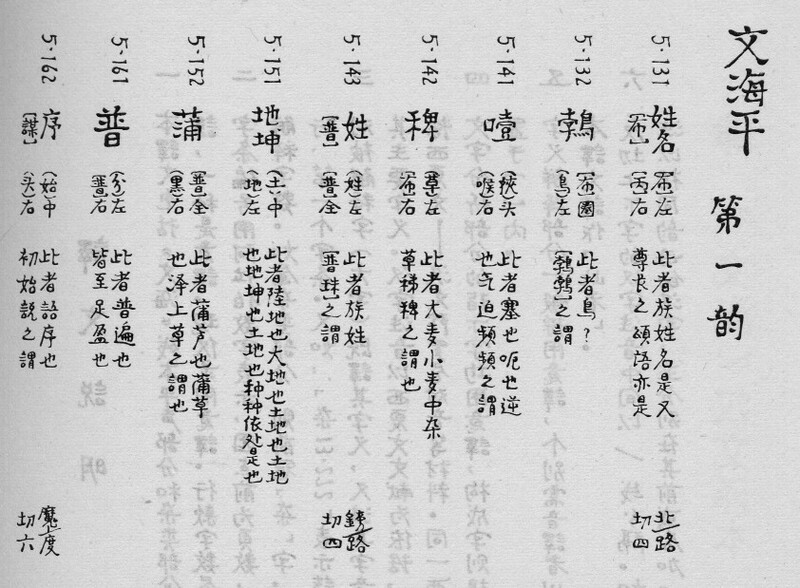 As I know, there is a work in progress on the large Tangut-English-Russian-Japanese dictionary under the edition of E.Kychanov. May be we will be happy to see it printed. In the Beijing book shop I've seen the full collection of Tangut inscriptions printed in China in a few (8?) volumes; the price of this series was about US$1000. I'm certainly looking forward to seeing the Kychanov dictionary published. There seems to be a lot of important work being done on Tangut at present, and getting it encoded well is the challenge that we are facing now. $1000 does not seem too bad for a complete collection of Tangut inscriptions (still way too expensive for me though); when I was in Japan in September I saw a three volume facsimile reprint of the Tangut 華嚴經 sutra for sale at a second hand bookstore for 180,000 yen (about $1,500). 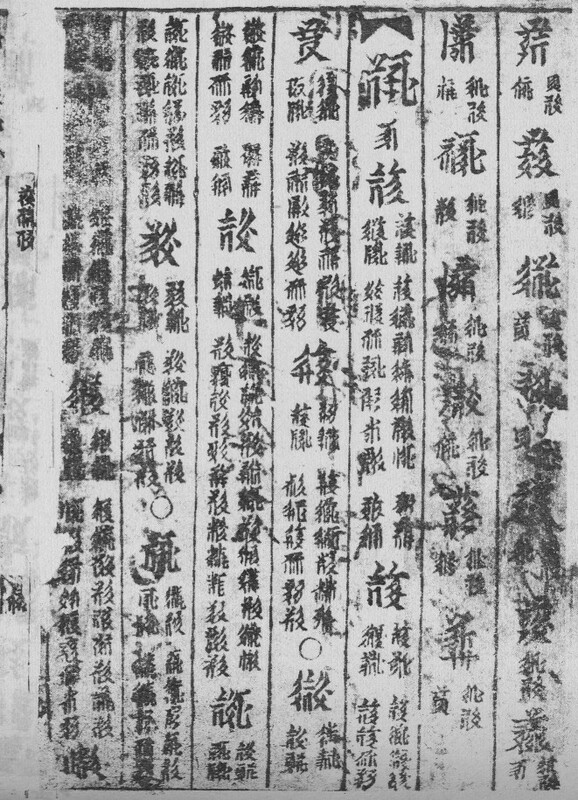 I can report that Michael Everson's kind gift of Wenhai Yanjiu has been very useful to me, and has now enabled me to solve the mystery of the last Tangut character in the Tangut mani formula on a 1348 inscription discussed in Mani Stones in Many Scripts. The E.I. Kychanov's dictionary is already published. This is the announce of this dictionary on the St.Petersburg Branch of the Institute of Oriental Studies, Russian Academy of Science, where he is working. Словарь тангутского (Си Ся) языка. Тангутско-русско-англо-китайский словарь. Составитель Е.И. Кычанов. Со-составитель С. Аракава. Киото, 2006. Sorry, it was me who published the last commentary about E.I. Kychanov's dictionary. Thanks for letting me know about the dictionary ... but I just can't think which Peter you are. Кычанов's dictionary may have been published... but where can one order a copy?